We all thought this might be coming, and now it’s official: the Virtual Console will not be live when the Switch launches next week, Nintendo said today. It’s disappointing news for anyone who hoped that Nintendo’s impressive slate of classic games might help fill in the blanks between big Switch releases like Zelda and Super Mario Odyssey. Given the lack of details so far on the Virtual Console—and given Nintendo’s history—it’s fair to expect the worst, despite our brief optimism that they might get things right this time. In the same press release, Nintendo added that FAST RMX and Shovel Knight (including the new Specter Knight campaign) will both launch alongside the Switch on March 3. 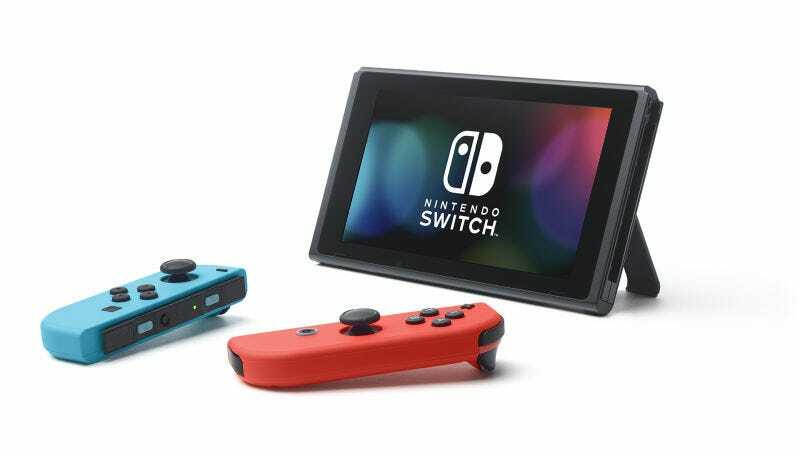 You’ll also be able to transfer your funds from other Nintendo devices after linking your “Nintendo Network ID and Nintendo Account and then their Nintendo Account to [your] Nintendo Switch system,” which is hopefully less confusing than it sounds.